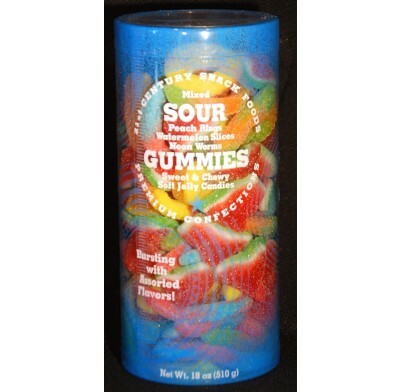 Mixed Sour Gummies contain an assortment of Sour Peach Rings, Sour Watermelon Slices & Sour Neon Worms. 18oz. of pure sour joy.